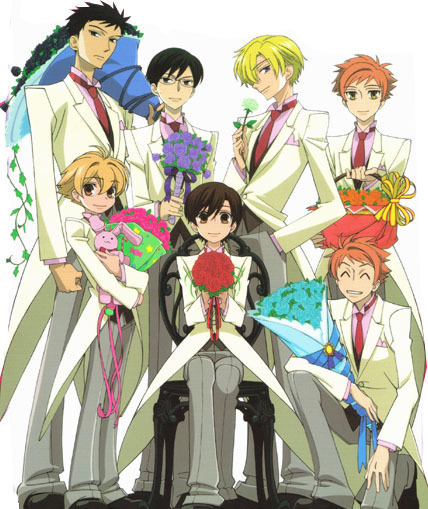 Ouran mawar. . Wallpaper and background images in the ouran high school host club club. This ouran high school host club photo might contain jendela kaca patri, anime, komik, manga, and kartun. XD Boys holding roses like they were brides at a wedding!!! !